Over the course of the past several months, Microsoft has been slowly and quietly renaming the Nokia apps to the Lumia Apps. This has all ben a part of the absorbing of Nokia as a company into Microsoft. Last week during the Lumia 830 announcement at IFA, this became even clearer as every app mentioned by name was Lumia, like the Lumia Selfie app. Now more and more of what were the Nokia apps are under the Lumia name. In particular with the Nokia Camera app, it was explicitly mentioned in the 830 launch as being the new Lumia Camera app. I suspect we will see this name change in a matter of weeks when the new 730, 735 and 830s hit the market. The philosophical question now is will the Nokia name go away completely? I’m one who doesn’t think that it will entirely, particularly on the hardware. I think we will continue to see Nokia’s name here and there but certainly at a diminished level. Remember that Nokia is a well known name, particularly here in Europe. Change the name of software is one thing. Changing the name and killing it off of hardware that is very public facing is quite another. For those of you who have Nokia apps installed on your Windows Phone, there is nothing for you to do to get the new rebranded and updated apps if you have Automatic Updates enabled. You will just get the updated apps downloaded to your phone automatically. 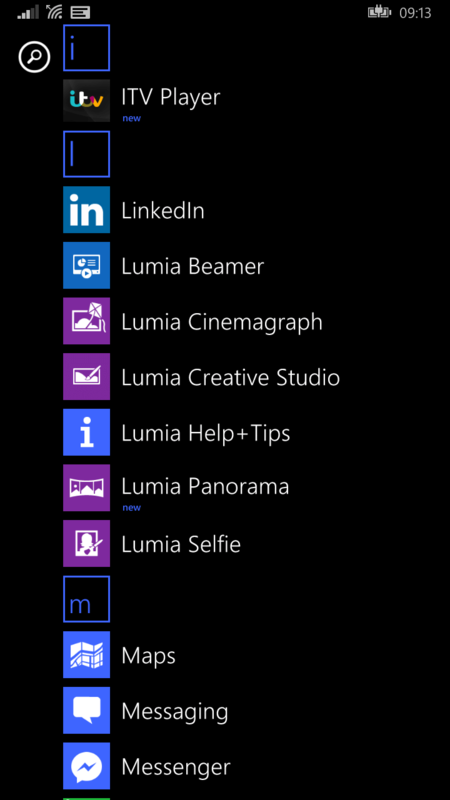 Just remember though if you can’t find that “Nokia” app in the N section of the apps list, be sure to check “Lumia” in the L’s.